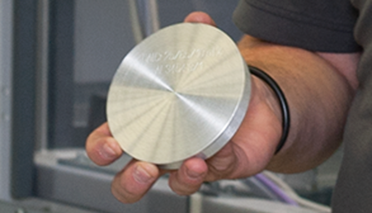 Our targets and cathodes made from titanium-aluminum (TiAl) ensure that drills, milling machines, indexable cutting inserts and other tools are protected by a hard, oxidation-resistant nitride coating (TiAlN). 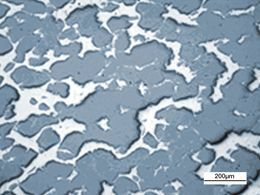 High feed speeds, excellent cutting performance and impressive metal removal rates: not a problem for titanium-aluminum-based coatings. A coating of just one thousandth of a millimeter of our materials reliably protects your tools against wear and therefore extends their service life. TiAl targets and cathodes are also used for decorative coatings on electronic devices such as cellular phones, on spectacle frames or on the dials of luxury watches. Our materials are applied using either the reactive magnetron sputtering method or arc evaporation and form in a nitrogen atmosphere a nitride hard material layer on the substrate. 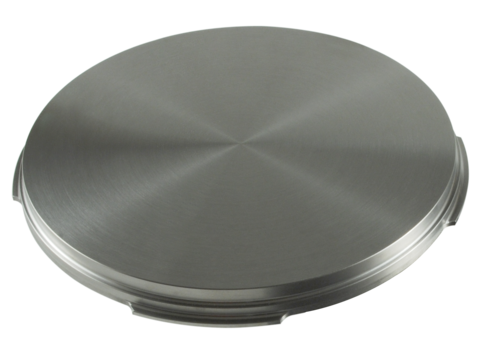 Whatever the geometry - rotary or planar arc cathodes or planar sputtering targets: We can supply tailor-made targets that are perfect for your application. High ductility. Long service life. During the coating process, our sputtering targets and arc cathodes have to withstand a lot. The material at the edge of the target can be exposed to forces of up to one tonne during coating. 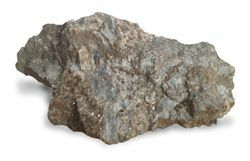 Whereas brittle materials would break under the strain, the presence of the element aluminum makes our material particularly ductile. To guarantee the ductility of the TiAl targets, the aluminum must be extremely evenly distributed. That is why we mix our titanium-aluminum powder very carefully before compacting the material using a forming process. 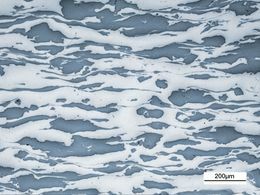 As a result, the microstructure of our materials is significantly more homogeneous and fine-grained than in materials produced using a melting process. 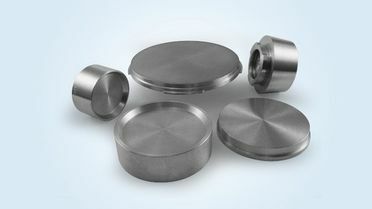 The benefit to you of our powder metallurgical production process: particularly breakage-resistant, long-lived targets. During the coating process, our targets and cathodes are exposed to high temperatures. However, our material doesn't feel the heat. Thanks to their aluminum content and high material density, our cathodes and targets offer particularly high thermal conductivity and can easily transfer the heat to a copper plate located behind them. 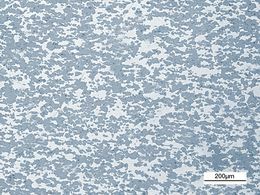 If heat is allowed to build up, the target material is removed unevenly and droplets form on the surface of the tool coating. But because our targets keep their cool, a smoother coating is guaranteed. Our optimum microstructure. Your perfect coating. Coarse or fine metal powder? Forging, HIP or other axial forming methods? We vary and combine our different production processes to make sure that the coating you finally use is particularly smooth and fine. And in everything we do, we have one aim in mind: ensuring an optimum microstructure for our targets and cathodes. During coating, this means that significantly fewer droplets form on your product. The result: outstandingly smooth coating layers. The purer the coating material, the better the quality of the hard material layer. From the very outset, we use only the finest powder which we mix in our own equipment to ensure outstanding material purity. We monitor every step - from the powder through to the finished product - and make sure that only targets with the specific guaranteed density, purity and a homogeneous microstructure are shipped from our factories. Flawless quality from a single supplier. 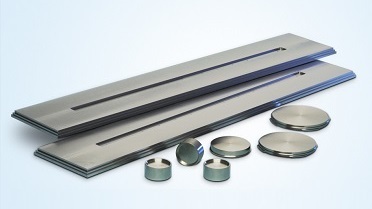 As a leading manufacturer of sputtering targets, we perform every stage of the production process ourselves. From the mixing and compacting of the metal powder through to the forming, machining and bonding of our targets: including the development of new materials to optimize your coating processes and films. 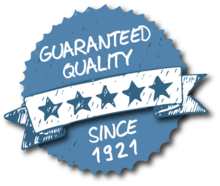 And naturally we also verify the quality of our targets using state-of-the-art measuring methods. You want the perfect coating? We create it. There's one thing we know perfectly well: In the PVD coating process, everything must fit together perfectly. 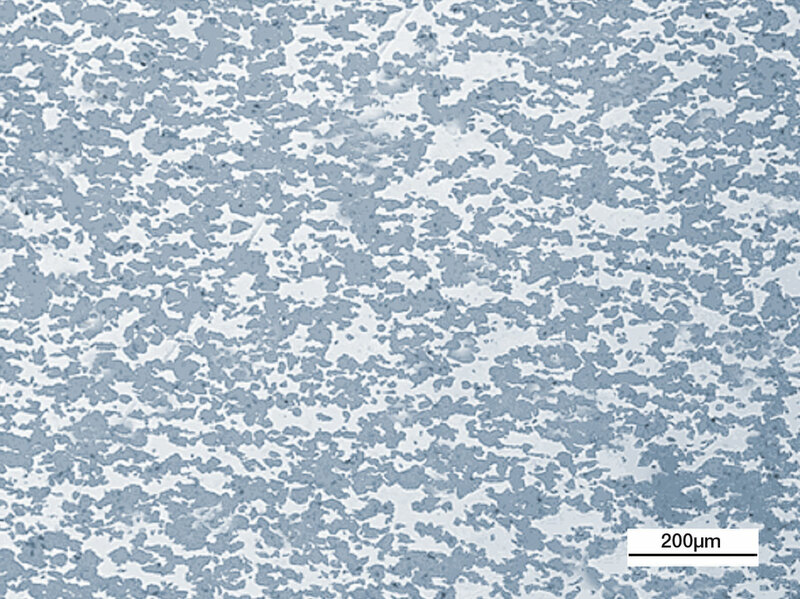 Only through the perfect combination of high-quality sputtering targets and arc cathodes, coupled with carefully chosen process parameters, is it possible to create a coating that precisely meets your requirements. And this cooperation with our customers and numerous development institutes results in a constant flow of new coating materials. Are you looking for the perfect coating? Take advantage of our long-standing experience and our extensive database of chemical compositions and production processes. We have one more thing to add: We introduce additional elements to perfect our titanium-aluminium mix: To increase thermal stability, for example, we add niobium, tantalum, molybdenum or tungsten. Greater hardness is achieved by combining them with boron, while yttrium and hafnium provide better resistance against oxidation. The addition of silicon creates a finer microstructure and also increases the resistance against oxidation. We would be delighted to help you find the perfect material combination. Just contact us! Oerlikon Balzers also relies on Plansee's targets and cathodes. This leading manufacturer of tool and component coatings achieves above-average coating performance thanks to the use of titanium-aluminium-based alloys. 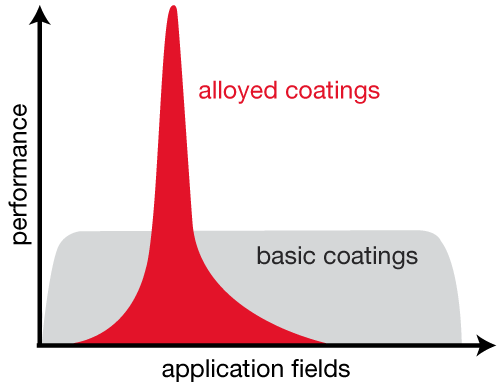 Standard coatings (in the chart "basic coatings") made from TiN or TiAlN are suitable for use in a vast range of sectors. And by introducing carefully chosen alloy elements, we can optimize the performance of the coatings ("alloyed coatings") for very specific applications. We have something else for you. Why not also test our aluminium-based targets and cathodes with integrated heat sinks? These are popular due to their even higher thermal conductivity and the stability they provide at the edge of the target. In these products, our aluminium heat sinks are directly connected to the target material. You can also take a look at our targets and cathodes made from aluminium-chromium, chromium, titanium, zirconium, titanium-silicon, tungsten carbide and tungsten carbide. 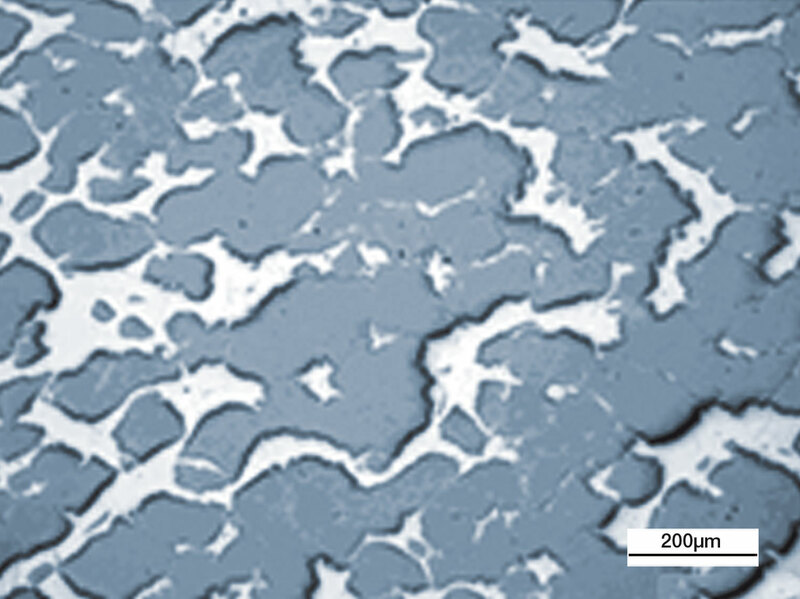 Use of molybdenum makes Ti-Al-N coated tools even more wear resistant.